Join Team Red & Represent Hope for Young Adults with Cancer At The 12 Bars of Denver Pub Crawl! – A $7 Donation That Goes Directly To Hope4YAWC! This Could Help Cover A Prescription Co-Pay For A Young Adult With Cancer. – An Official Team Red 12 Bars Of Charity Sweatshirt Representing Team Hope4YAWC Along With A Red 12 Bars of Charity Mug. – A Shuttle Pass That Runs A Route Around The 12 Bars of Denver. 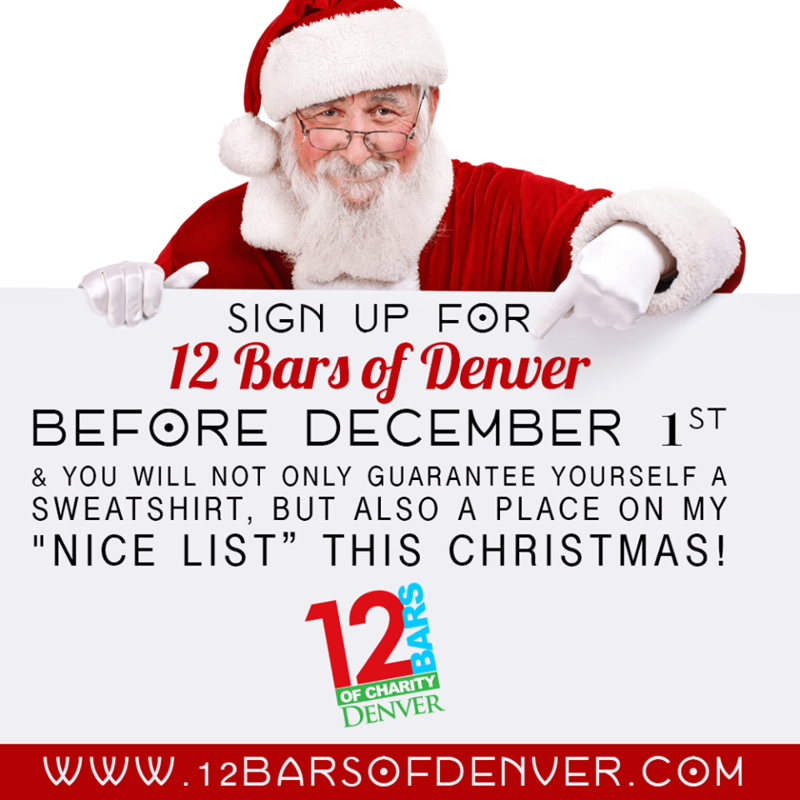 You Must Register by December 1st To Guarantee You Sweatshirt Size. Don’t Miss Out On The Biggest Party Of The Holiday Season While Giving Back To A Great Cause!